Time spent with nature helps restore your senses and replenish your soul. Sadly, the times we live in, our access to nature and all it's abundance is very limited but if you'd still like to gain some benefits out of all things natural without having to take a vacation, head to the Royal Thai Spa and indulge in a mini-holiday of sorts, spending time rejuvenating your mind, body and soul. Through the use of natural oils, herbs & elixirs and by creating an ambience that is serene and tranquil, like that atop a pristine mountain range, Royal Thai Spa helps you get back in sync with your true self. 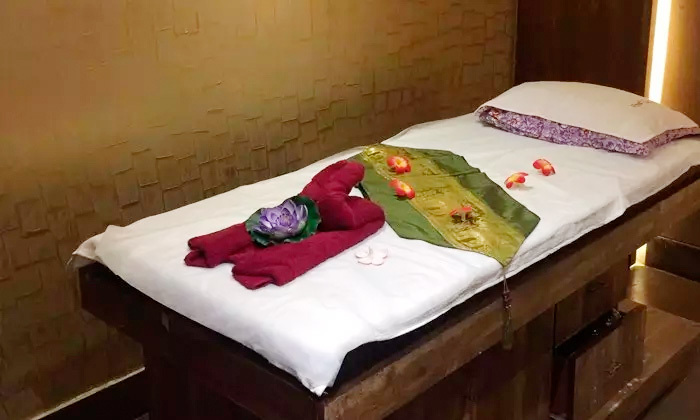 The skilled masseurs here practice authentic Thai massage techniques and procedures which helps you relieve your mind and body of all its stress, leaving you feeling absolutely renewed and recharged post a spa session here. Indulge in some natural goodness and some Thai wellness tradition and feel the positive change it brings about in your being; all at the Royal Thai Spa.